Uno dei principali colpi messi a segno dai curatori del programma dell'EFG London Jazz Festival quest'anno: il concerto della Dedication Orchestra, alla Queen Elizabeth Hall questo pomeriggio alle 14.00. A very rare opportunity to see this joyous rollercoaster of a big band. They evoke the story of five South African exiles who transformed jazz after finding their way to Europe in the 1960s. Fired by the whipcrack drumming of the one surviving member of the Blue Notes, Louis Moholo-Moholo, the music of Chris McGregor, Dudu Pukwana, Mongezi Feza and Johnny Dyani continues to live and breathe in 'a bustling mix of freedom and discipline, of community and individualism' (The Guardian). The Dedication Orchestra brings together successive generations of musicians who have been inspired by the passionate commitment of this music. 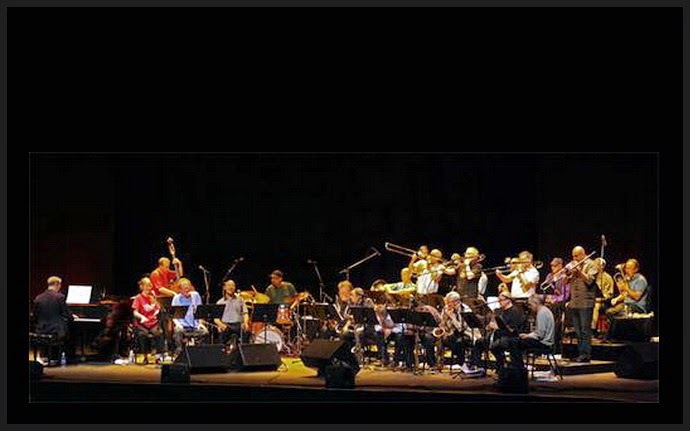 They include Steve Beresford, Claude Deppa, Maggie Nicols, Evan Parker, Keith Tippett, Julie Tippetts and Jason Yarde. Evan Parker writes: "The story of the Dedication Orchestra is long. When we started the project the apartheid system was still in place, South Africa was under the control of an exploitative white minority and Mandela was still in prison. We were the unwitting beneficiaries of that situation when the Blue Notes, escaping that regime via the Antibes Jazz Festival and Zurich came to live in London. The Blue Notes gradually evolved into the Brotherhood of Breath and many smaller groups involving Blue Notes and their new London colleagues sprang to life. Death - the unavoidable - took Mongezi Feza, Johnny Dyani, Chris McGregor and Dudu Pukwana. In each case the survivors had marked their loss with a musical offering. When only Louis Moholo-Moholo was left, we formed the Dedication Orchestra so that we London musicians could pay tribute."